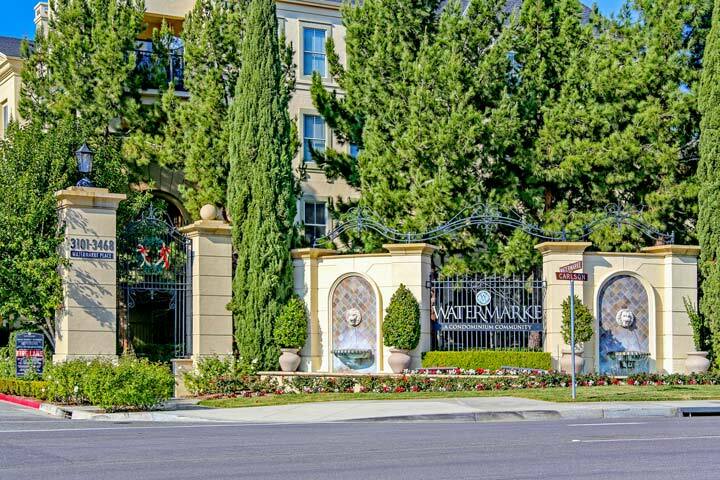 Watermarke condos are located in the University Town Center area in Irvine, California. The Watermarke building was built between 2000 to 2006 and features one to three bedroom condos that range in size from 635 to 1,500 square feet of living space. This is a prime location near Jamboree Road and the 73 freeway with close proximity to the city of Newport Beach. The units can offer private balconies, granite counters, living room fireplace with pool and garden views. Below are the current Watermarke condos for sale and for lease in Irivne. Please contact us at 1-888-990-7111 with questions regarding this complex and any of the condos listed for sale here. 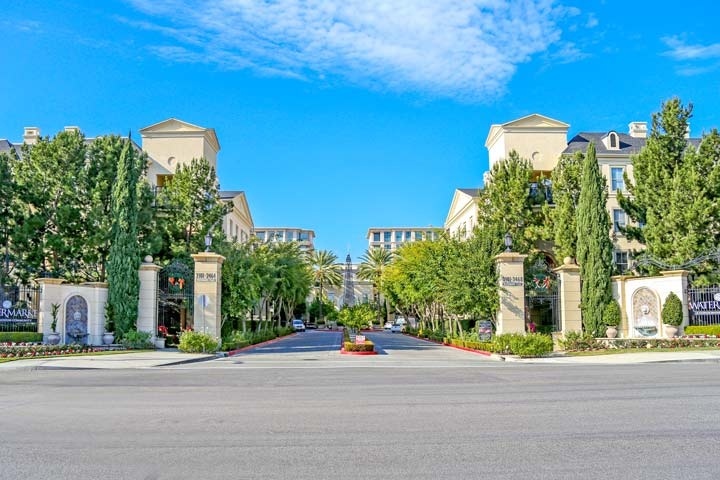 The Watermarke condo complex is under a homeowners association with monthly dues of $360.00 a month. The dues include 3 community pools, 4 spas, concierge services, fitness center, tennis courts, basketball court and clubhouse. The building has not been FHA approved but offers elegant hi-rise living in the heart of the city and near the John Wayne Airport and many local restaurants and retail stores in the area. If you are looking for a Watermarke rental property we showcase those as well here.